Who Are These 'New' Dota Teams At The Kiev Major? The upcoming Kiev Major is one of the most important tournaments of the Dota season, a big tournament in its own right, and an important qualifier for the multi-million dollar The International, Dota’s equal part World Cup and Super Bowl. But if you haven’t been plugged into the Dota community for the last few months, you’re not likely to recognize some of the teams playing in Kiev. Winning at Kiev means garnering favor in the eyes of Valve, who determine which teams get a direct invite to The International, and which teams have to earn one through a gauntlet of qualifiers. Last year, five of the top six teams at the major prior to The International received a direct invite. A win in Kiev doesn’t just mean the lion’s share of a $3 million prize pool, but also a surefire shot at the grand prize. But who are the teams competing in Kiev? Ad Finem, the Greek underdogs who took second at the Boston Major, are now under the Mousesports banner. After a Facebook post describing a mutual termination, the former five were picked up by hot-and-cold Dota organization Mousesports, while Ad Finem proper was folded into the new Penta-sports brand. Vici Gaming J was formed last September, and the Jeremy Lin-backed team’s major debut will be in Kiev. The team features some known Chinese talent, like Lu “Fenrir” Chao and Xu “fy” Linsen, but this will be the team’s first chance to prove itself as more than a branding stunt. The roster of Digital Chaos, who were a direct invite to both the Boston and Kiev Majors, now compete as Thunderbirds, while Digital Chaos absorbed the organization-less American team Onyx for a new roster. And even Wings Gaming, the reigning International champions, are competing under the name Team Random, after a falling out with the Wings organization. Games like League of Legends or Heroes of the Storm operate on a league system, with teams owning spots for a set season, so while there may be roster changes here and there, wholesale change is rare. But Dota teams compete in multiple tournaments throughout the year, and Valve has stated in the past that tournament invites belong to the roster, not the organization employing that roster. If a team decides that its contract with an organization isn’t working out a week before the major, it’s free to walk away without fear of losing a chance to compete on the international stage (pending any contractual obligations, of course). This has made Dota a shaky investment for many organizations, but for players, it means the freedom to play under whatever banner they wish, and decide for themselves whether an organizational structure will benefit them in the long run. 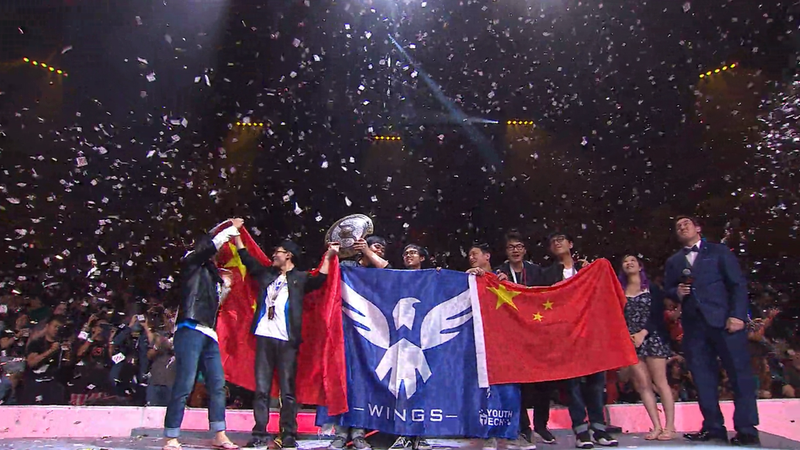 At Kiev, one of Dota’s most important tournaments of the year, it wouldn’t be surprising to see a team that didn’t exist two weeks prior lift the trophy.